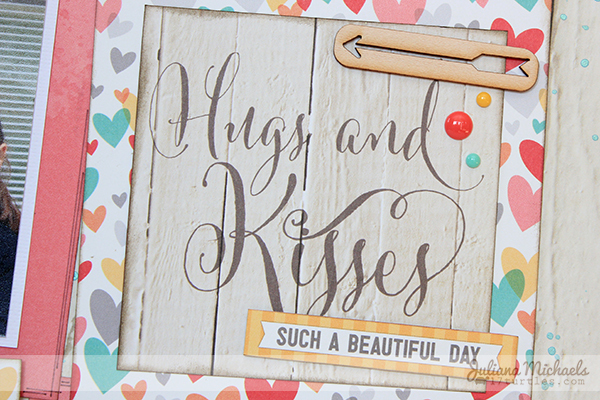 Hugs and Kisses indeed! I love this photo of my sister and her two girls! 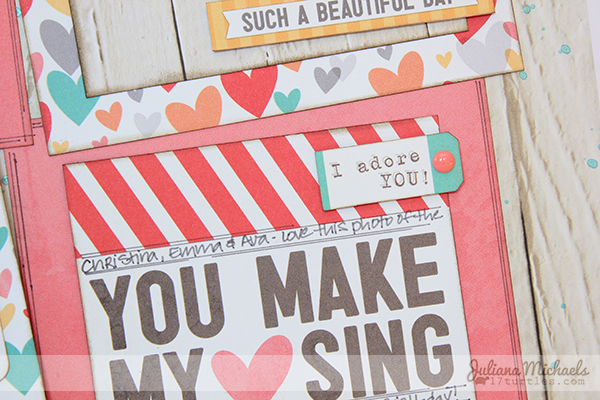 It makes my heart sing for sure and it was the perfect photo to pair with these cut out sentiments from the Elle's Studio Love You More collection. 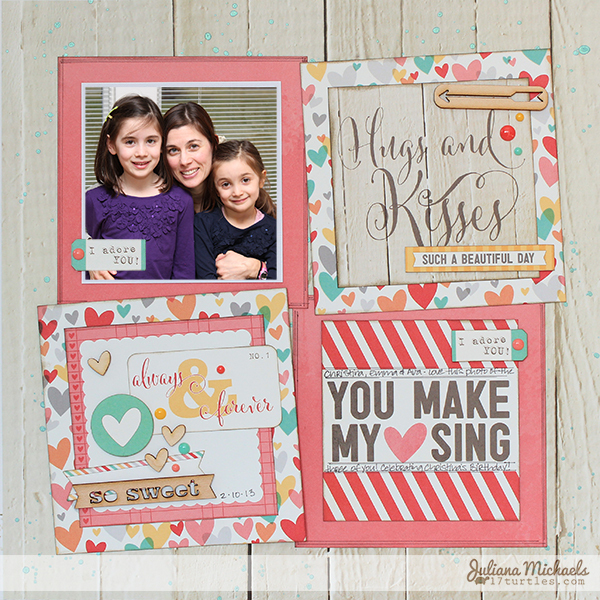 I was inspired to create this scrapbook page using the Creative Scrappers Sketch 259. I have always loved Kristine's sketches and it was fun to have time to play with one as I was creating. The wood veneer pieces are some of my favorites and they are part of the Love You More collection as well. How sweet!! What a pretty page!! Such a fun page...love the colors! This is adorable Juliana!! Love how you used the sketch for your page! !